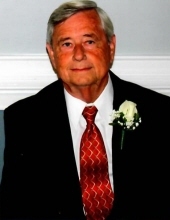 Mr. Aaron Jacob Chitwood, age 77 of Rickman Street, Toccoa passed away Sunday, November 25, 2018 at the Stephens County Hospital. A son of the late Reverend Gettis and Effie Durham Chitwood, he was born September 19, 1941 in Franklin County, Georgia having lived most of his life in Stephens County. He attended Toccoa High School and was a graduate of North Georgia Tech. He served in the Georgia National Guard for six years. He was employed with Sears Roebuck as a serviceman for seventeen years and later owned and operated Aaron’s Appliance Company for 40 years. He was a member and deacon of North Trinity Baptist Church. In addition to his parents, he was preceded in death by a brother, Howard Chitwood. Survivors include his wife of the home, Sandra Stowe Chitwood; son, Scott Chitwood of Toccoa; grandson, Matthew Chitwood; sister-in-law, Geraldean Chitwood of Hartwell; two nephews, Tim and Brent Chitwood. Funeral services will be Wednesday, November 28, 2018, 11 O’clock a.m. in the Hillcrest Chapel of the Acree-Davis Funeral Home with The Reverend Stephen Harris and The Reverend Jerrell Beatty officiating. The following gentlemen will serve as pallbearers, Don Holbrooks, Tim Harris, Johnny Moon, Hoke Gibby, Hal Glaze and Glen Glaze. The family will be at the home on Rickman Street and will receive friends at the Acree-Davis Funeral Home on Tuesday, 6 p.m. until 8 p.m. Online condolences can be left for the family at www.acree-davisfh.com. Interment will follow in the Stephens Memorial Gardens with the Acree-Davis Funeral Home in charge of the arrangements for Mr. Aaron Chitwood. To send flowers or a remembrance gift to the family of Aaron Jacob Chitwood, please visit our Tribute Store. "Email Address" would like to share the life celebration of Aaron Jacob Chitwood. Click on the "link" to go to share a favorite memory or leave a condolence message for the family.